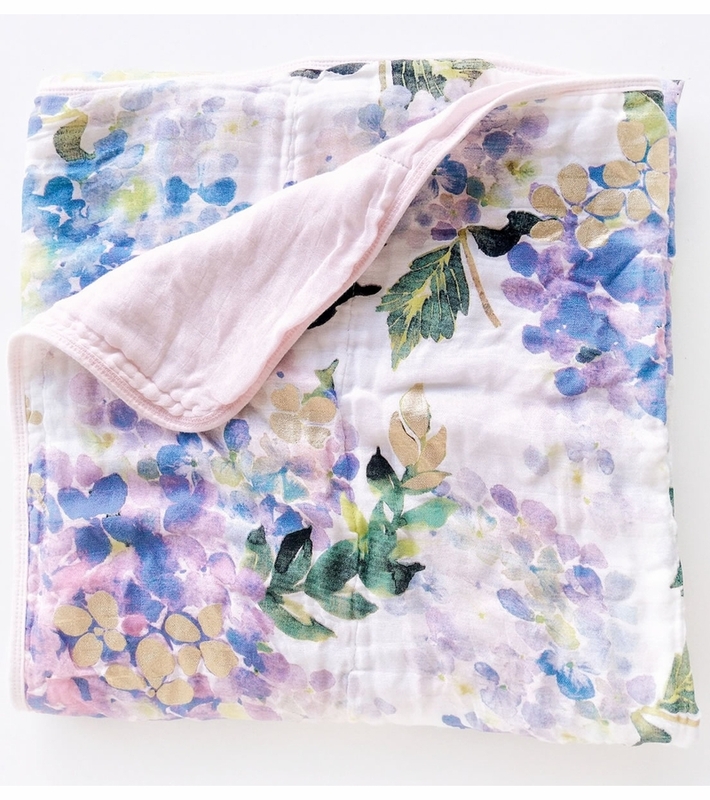 This is possibly the most stunning hydrangea floral blanket you will need! With a hand drawn watercolor floral and gold foil design, this luxes of super soft quilted blanket is one of a kind and stylish! As if it isn't soft enough, it gets softer as each wash.
Great quality. Absolutely beautiful and soft. I can't wait for my baby to arrive.